The nylon rope is specially braided from high strength polyamide fiber, double braided and anti twisting. 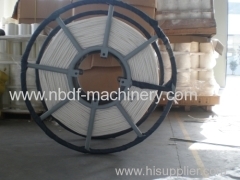 It is normally used for overhead power line stringing or lifting. Group of Overhead Power Lines Nylon Rope has been presented above, want more	Overhead Power Lines Nylon Rope and Overhead Transmission Line Nylon Pulling Rope, Please Contact Us.